More and more snow, less and less people, at least on your pictures..It's must be strange to walk alone in the park, with the silent around.. strange but pleasant! I can see you were out and about in the snow yesterday. 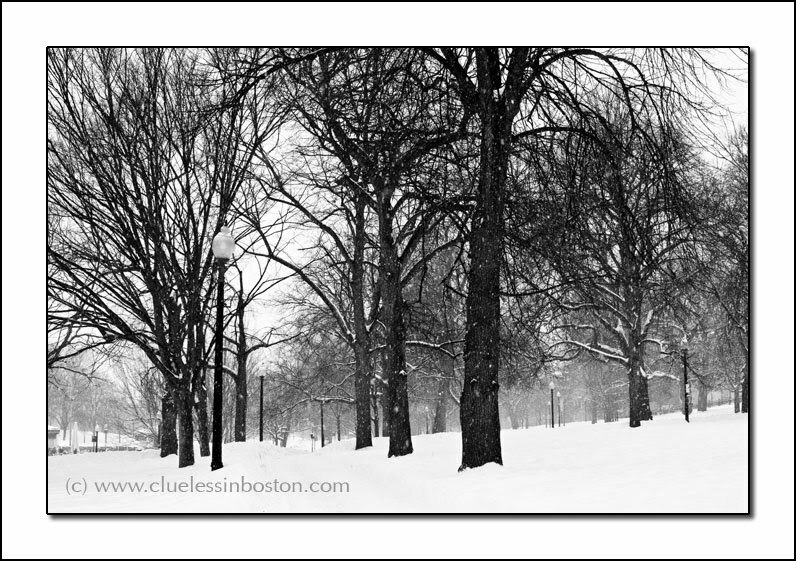 Like the b&w, also nice to see a photo with White snow, too many people leave the grey snow that often results from auto digital shots. A great emotion: fantastic photos!